Jair Bolsonaro was declared winner of the Presidential race in Brazil, he took to the streets in a long March with jublient supporters to celebrate the win Sunday evening. 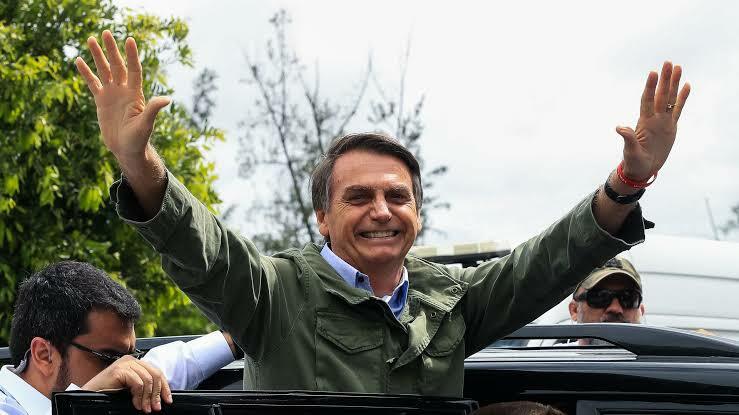 Bolsonaro belongs to the extreme right wing, he polarized the elections like never before. Brazil at present is facing economic churl – recession, violence, rising crimes and wide spread corruption scandals. In his victory speech he said he’ll perform duties by abiding the law, said his Government will be a constitutional and a democratic government. Bolsonaro won the elections with a majority vote of 55 %. He promised to open the Amazon forest region to development. People are concerned with this move to industrialize the Amazon basin. Around the world there is a rise in Right wing governments. India, Japan, USA, Venezuela, Hungry, Germany & Denmark currently have right winged Governments. Economic situations, inflation & oil prices have caused this change since 2014. Most of the European countries in recent have seen a rise in votes for right wing / far right legislatures. People from the right wing preach about nationalism, country first policies but take a step back crucial issues siting losing majority vote bank.